One of the perks of working on a college campus in the conference center is the ideas I get from events held in the building. 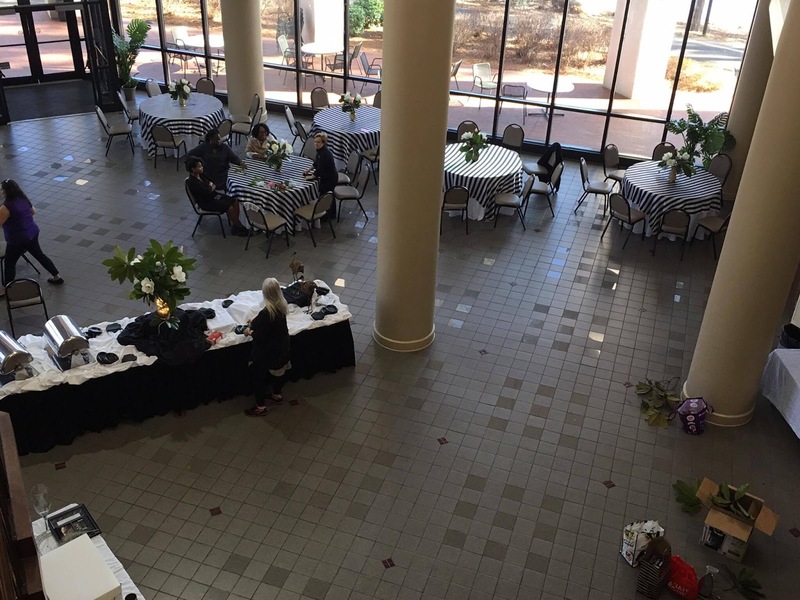 Yesterday, a group from the budget office was setting up for a retirement party for one of their own. I peeked in to see how they were doing. I expected paper tablecloths, cheesy decor, etc. but was pleasantly surprised to see the gorgeous and classic decorations! 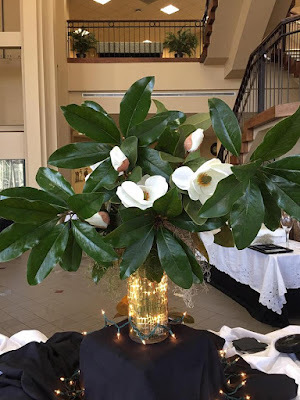 Simple arrangements of magnolias, Spanish moss and magnolia leaves are perfect for the tables. 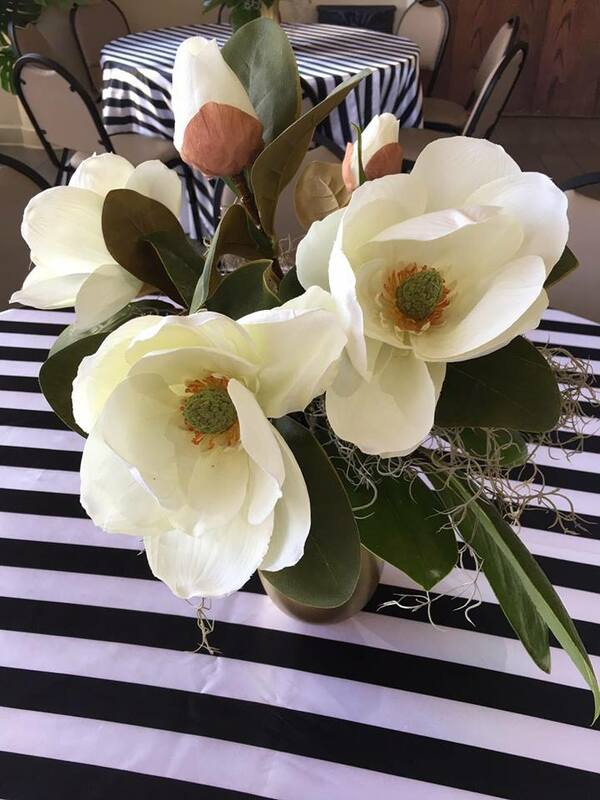 The magnolia flowers are actually silk and came from a local craft store. The leaves and moss came from trees around campus. 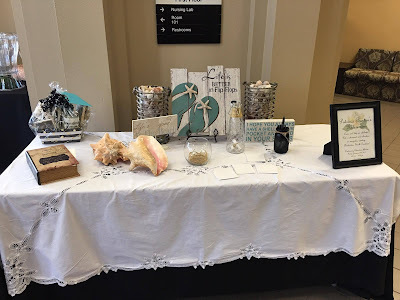 So simple but elegant.. Also, the stripe tablecloths (very Kate Spade) are becoming more of a neutral for all types of events. One of the lady's decorating for the event said that she had plans to use these table cloths for a wedding and a birthday party later in the spring. The ladies did a similar arrangement (but much larger) for the food table. This arrangement was placed in the center and the serving dishes were displayed around the table. I also like the twinkle lights in the vase. Here is a bird’s eye view of the entire space. 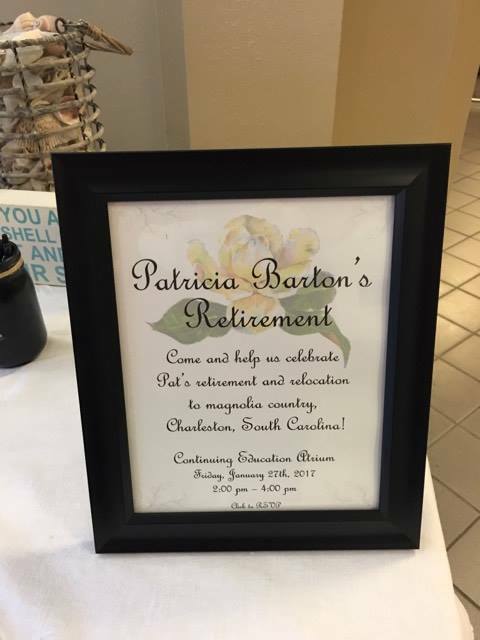 The guest of honor is lucky enough to be retiring to Charleston, SC. She was welcomed with a table of goodies to take to her new beach house. What are your go-to items when you plan a party/event? 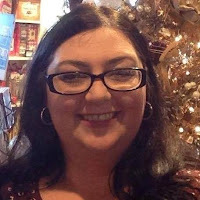 Are you planning an event that you would like to share on my blog? Contact me today for information on how to share your events!